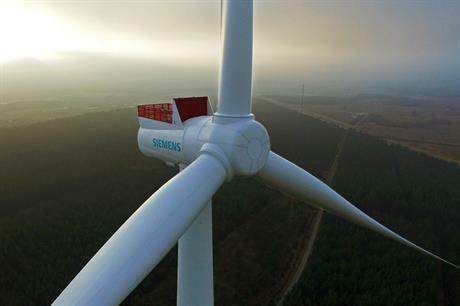 GERMANY: Standards body DNV GL has approved the type certification for Siemens Gamesa Renewable Energy's (SGRE) SWT-8.0-154 offshore wind turbine. Following a series of tests and examination, the body approved the turbine for "market implementation". The 8MW turbine features a new cooling system, controller and an upgraded generator to its 7MW predecessor, all of which DNV GL was required to certify. It is already earmarked for the Dutch 752MW Borssele I & II offshore wind project being developed by Ørsted (formerly Dong Energy). Siemens revealed the SWT-8.0-154 turbine in July 2016 prior to its merger with Gamesa. "We are satisfied to have received the type certificate for the 8.0-154 wind turbine ahead of time. The efficient certification process is a result of the longstanding relationship between Siemens Gamesa and DNV GL which allows us to have a reduced time to market for our new offshore wind turbine," said Johnny Lillelund, head of certification at SGRE. DNV GL is also contracted to certify SGRE's new 8.0-167 DD turbine, launched at WindEurope's Amsterdam exhibition last November. Deployment at Borssele may be the SWT-8.0-154's only offshore project as SGRE focuses on developing and marketing the longer-bladed 8.0-167 DD model, which can be rated up to 9MW.